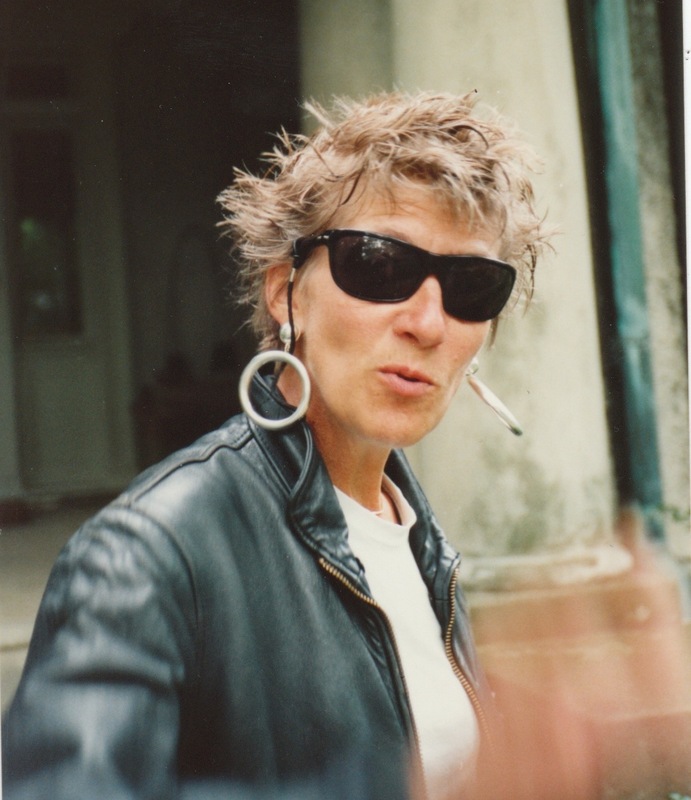 Once upon a time, in 1986 to be exact, we got my mother dressed up in a white tee-shirt, and Ray-Bans, and a leather jacket that my sister had appropriated from an old boyfriend. And we punked up her hair and gave her some big dangly earrings, and took her picture on the front porch of her house. She was awfully game about the whole thing, even while there were neighbors driving by. Today would have been her 77th birthday. I miss her. I'm sorry she's not there to celebrate. I love that photo...ah, the 80s. What a great photo, and memory to go with it. I'm sending you extra squashy hugs today. Your mom made an awesome badass! Fabulous picture. You know I know how you feel. Big hugs. She looks like a natural. I love this photo. I love this post. And I'm so sorry she's gone - she looks very cool. Glad she went along with it...such a great shot! you got me. I miss her for you, too. She wore that like it was HER look. Birthdays of those that are gone are hard. She looks like she could be on an album cover! Now we all get to know her just a little better too. Wow. I never looked this cool in the 80s. In fact, I never looked cool at all. Oh, wow. That is an awesome picture. Thinking of you and her now. The photo and the story that goes with it made me smile. She rocked that look. What a cool woman she was. I imagine that you miss her in innumerable ways. That is an awesome photo--what a great woman your mother was. I think of her at random times, and I never even knew her; I'm so glad you share some of your stories here. What a loss--I'm still sorry she's gone.